Step out of the city life by going to Waikiki Beach and Hanauma Bay Nature Preserve. We've included these beaches for you: Kailua Beach Park and Lanikai Beach. Venture out of the city with trips to Haleiwa (Waimea Bay & Sunset Beach Park), Swim with Dolphins (in Waianae) and Polynesian Cultural Center (in Laie). 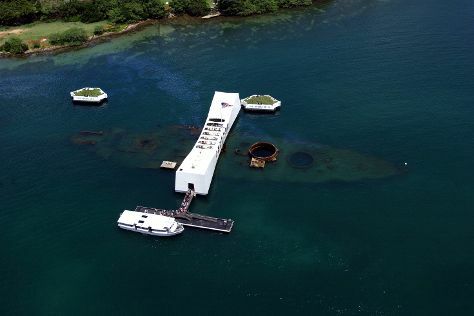 There's still lots to do: pause for some photo ops at USS Arizona Memorial, get interesting insight from Tours, browse the different shops at Ala Moana Center, and hike along Diamond Head State Monument. For photos, more things to do, reviews, and more tourist information, read Honolulu travel route planning website . If you are flying in from Australia, the closest major airports are Daniel K Inouye International Airport and Kahului Airport. In September, plan for daily highs up to 36°C, and evening lows to 28°C. Cap off your sightseeing on the 13th (Fri) early enough to travel back home.